Most instagenic spots in Okayama Prefecture. 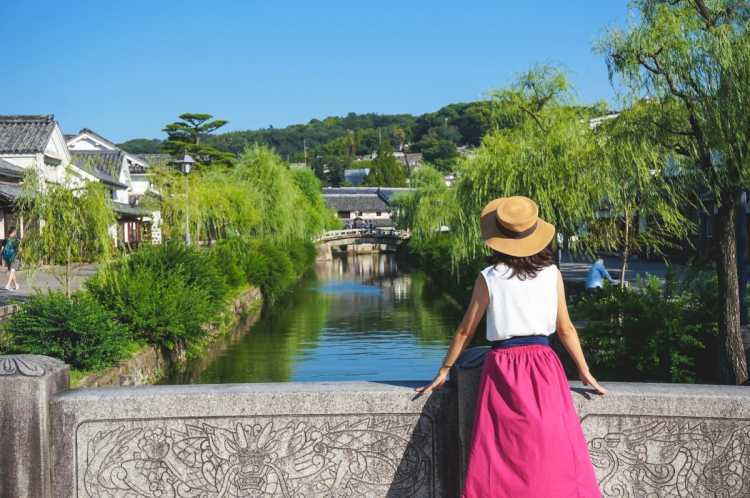 There're many instagram worthy places you can get 'like' in your SNS, such as a historical town Kurashiki, and gorgeous views of Seto Inland Sea. Then, we selected best instagenic ones from 'special places to travel in Japan' that were posted in City's Pride by travelers and the locals who have actually been to Okayama. 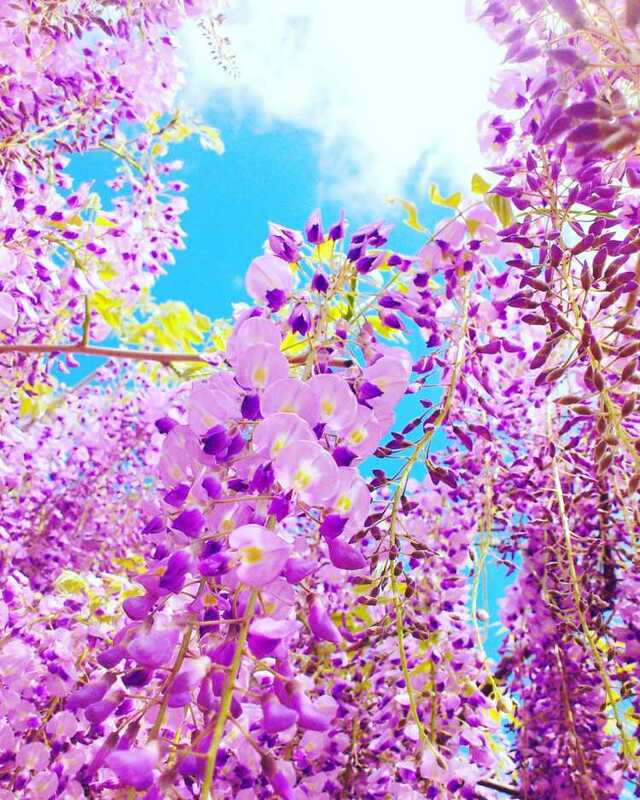 Fuji Park has more than 100 kinds of Japanese Wisteria. Good fragrances come from the pale purple wisteria flowers. One million sunflowers blooms from the beginning to the middle of August. 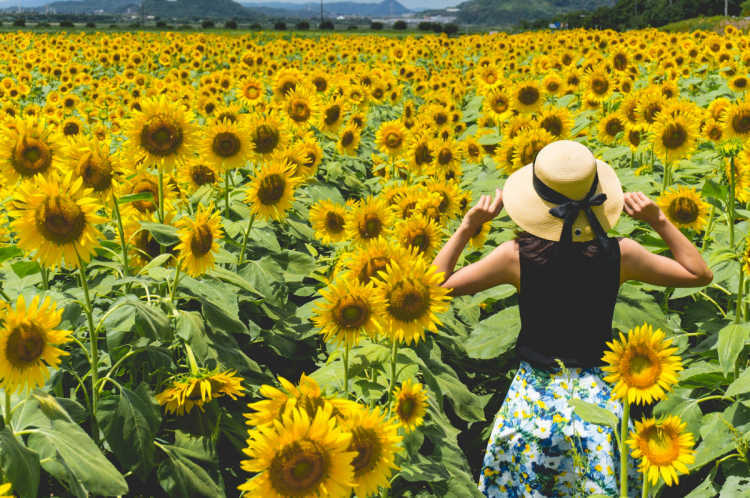 Walking through the large sunflower field where the yellow covers all of your view, you can feel refreshed. Very popular and photogenic place for summer in Okayama Prefecture.◎The best season is from early in August to the middle of the month. The sunflower field is nest to the Road Station. It's located the southwest part of Okayama and also near Hiroshima. With some big and small strange stones on its slope, Mt.Ojigadate is a scenic spot in Okayama. 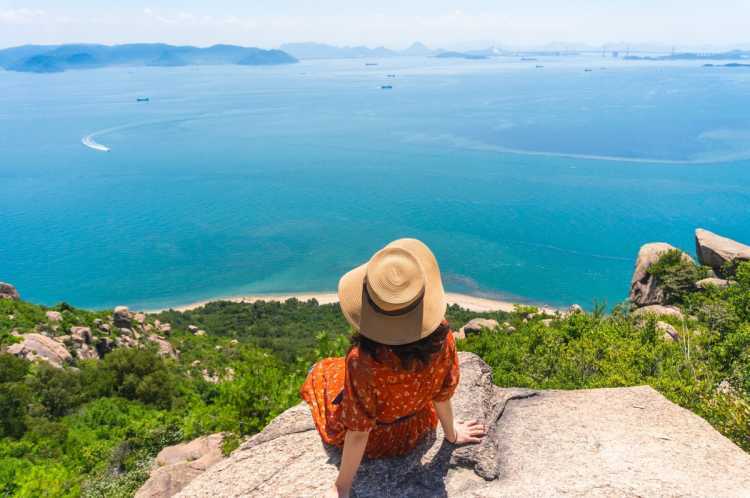 It's very thrilling to stand on the stone and overlook the panoramic view of Seto Inland Sea, but so beautiful that I can't describe. Of course, you can see also from safer places.◎Coming from Kurashiki, you can climb up by car just before you arrive Shibukawa Beach. Parking lot is available. Please enjoy the scenery from safe place such as an observatory. Okutsukei Valley is famous for its beautiful rivers, rocks and waterfalls, and what's more, a most beautiful fall foliage spot in Okayama. The maple trees turn into vivid colors, so you can see the beautiful autumn scenery.◎Okutsu Momiji Matsuri Festival & Night Illuminations: 2017, 10/28-11/12. You can park your car at the side of the road. The best season is the first half of November. Okayama's popular tourist destination 'Bikan Chiku (Historical Quarter)'. It was flourished as a merchant town and now it leaves buildings with beautiful white walls and willow trees along the river, which are the taste of Edo Period. You can enjoy boating and rickshaw like traveling to the old times of Japan. And also the delicious food around here.◎Access: about 10min from Kurashiki Station. There're lot of parking lots around the area. The boating is so popular that you should buy tickets as soon as you arrive. You can't find five-storied pagoda elsewhere in Okayama. 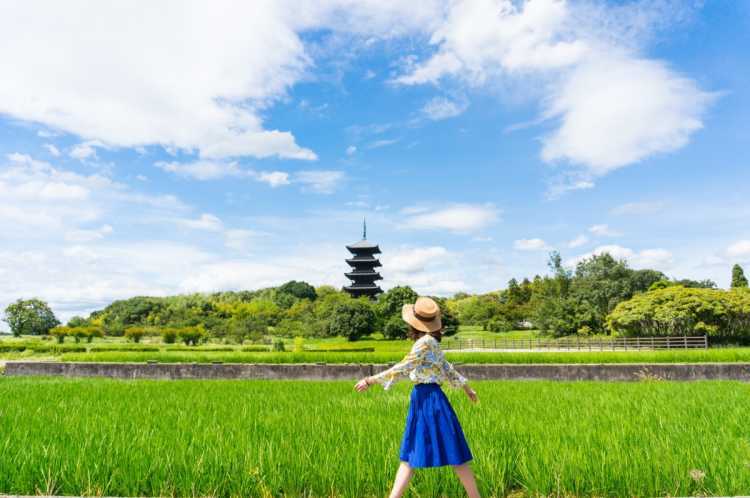 Located among the vast rice fields, this pagoda is a symbol of Kibi-ji Road and has Japanese nostalgic scenery. This area is popular for not only walking but also for cycling.◎The former temple had been built in Nara period and now this building was rebuilt in Edo period. The five-storied pagoda is a National Important Cultural Asset. Okayama Castle is called 'Cormorant Castle' for its black outer wall. 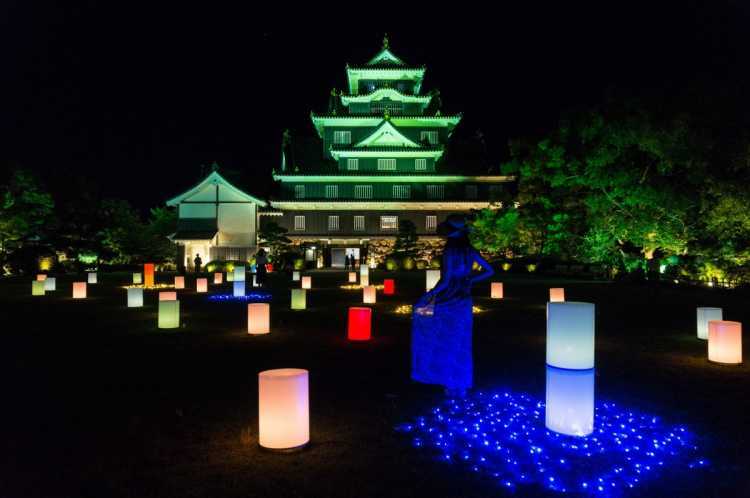 Summer illumination event is held during August. You can see the gentle and cool Japanese atmosphere with traditional umbrellas and lanterns. Must see in summer!◎Event info: 2017/8/1-8/31 (18:00-21:30) Entrance fee to the castle tower: 300yen, but the garden is free. Do you want to have a daily life with arts? 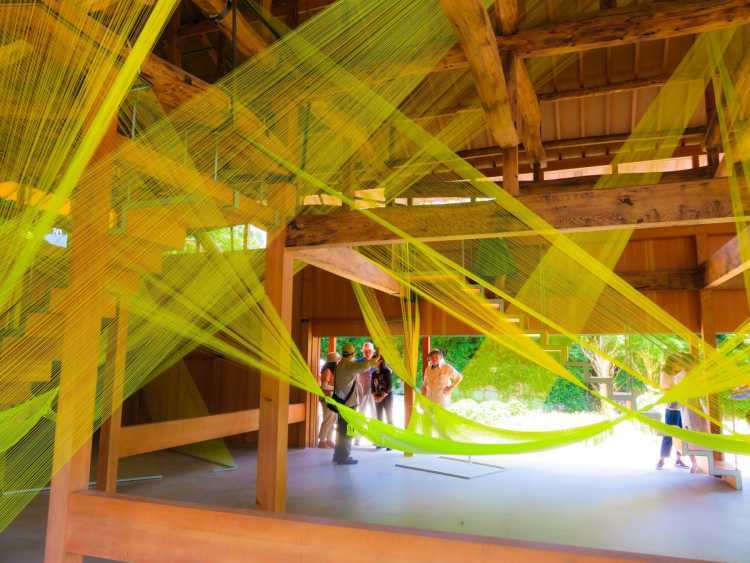 Some galleries are dotted to identify with the island, and I envy the beautiful sceneries of Inujima Island seen through the arts. It's C and A house. 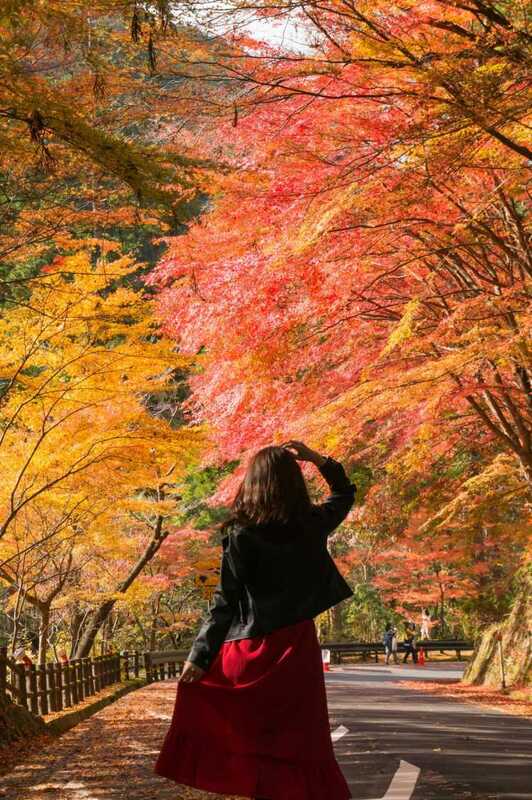 Other photogenic spots that will be nice for your Instagram in Chugoku Region the same as Okayama Prefecture, are in the following. Follow Us! We post photogenic travel pics to Instagram every day in our official account.